Contact your Legislators about school funding! The first week of April is the time reserved to reconcile the differences between House and Senate versions of bills and to pass conference committee reports with the final compromise bills. Of greatest interest to educators, naturally, is what the Legislature plans to pass as a response to the Gannon school finance decision. With the actions of both chambers over the last few days, it appears they will go into a conference committee with two bills. Senate Bill 142 – passed by the Senate and not even considered by the House – provides an additional $90 million per year to the school finance plan passed over the 2017 and 2018 sessions. House Substitute for Senate Bill 16 – passed by the House and non-concurred in by the Senate – contains the conservative wish list of legislative micro-management policies crafted primarily by Representatives Kristey Williams (R-Augusta) and Brenda Landwehr (R-Wichita). Somehow the final school finance plan must be crafted out of these two bills. Senate Bill 142 provides $90 million new dollars to public education and continues that $90 million over four years to reach the level that would have been in place if the Montoy promises had been kept and then adjusted for inflation. All the funding is added to BASE aid to benefit all students. After the phase-in, SB 142 continues the annual CPI adjustments into the future. House Sub for SB 16 provides no new money to schools. Instead, it puts a number of new accountability regulations in place requiring new reports of student performance and school finances of schools and the Kansas State Department of Education. Also mandated are a study of graduation requirements with the intention of allowing financial literacy and computer science courses to count as math and science credits, the creation of a new IT Commission to study technology in the schools, and a Legislative Post Audit study of unencumbered balances in school districts. This bill puts limits on the number of years a bilingual student can receive funding and removes the requirement that the Legislature reimburse schools for 92% of the excess costs of special education. 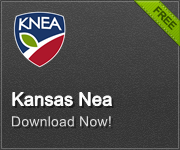 KNEA supports Senate Bill 142. KNEA – and the entire public education community – opposes House Sub for SB 16. Passage of this bill was only achieved by enacting a call of the House and using the time to badger Republican representatives until a 63rd vote could be secured. It was passed on a vote of 63 to 61 – the bare minimum for passage. Click here to see how your Representative voted. With your Legislators back home for four days, there will be opportunities to communicate with them about the importance of meeting the Gannon school finance decision and getting our school funding system settled and constitutional.